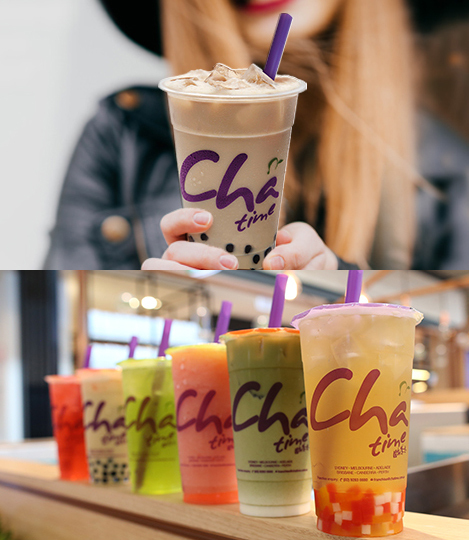 “Chatime is Australia’s newest and most innovative fresh tea outlet serving a delicious range of iced teas while shaking up the game like never before! At Chatime we’re constantly experimenting, innovating and tweaking our brews. This means there’s always something new and fun to try! Bursting with surprising, exotic and funky flavours, Chatime is a flavour sensation that has grown to over 85 T-Breweries since hitting the Aussie shores in 2009, with over 1,000 tea outlets worldwide. 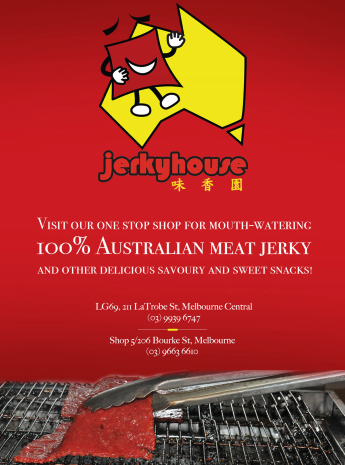 Visit our one stop shop for mouth watering 100% Australian Meat Jerky and other delicious savoury and sweet snacks! The Target Centre is open 7 days a week and is located in the heart of the Melbourne CBD. The Target Centre has over 15 specialty stores including dine in, take away, hairdressing, fashion, massage, Tattslotto pharmacy, claw machine games and shoe repair. We look forward to seeing you at Target Centre. Whether you’ve got a list of convenience items to collect, or simply wish to take some time out to relax, browse our stores and make use of our free WiFi, drop by and say hello -we’d love to see you. Download the Target Centre Melbourne App to take advantage of great rewards, prizes and special deals. © 2017 Chinatown Precinct Association Inc.